No matter what you are selling on your e-commerce website shipping is one of the biggest and most important business concerns. When it comes to consumerism today, instant gratification is what they are looking for and that can only be possible when the companies they are ordering from sending them their item in time, or as soon as possible. Customers are loyal only if your shipping speed and the costs are good, treating the customers with free shipping every now and then would be a great idea! 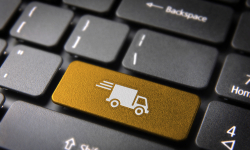 Shipping time and speed: how time sensitive is your order? How much will it cost you and what are the times of dropping off and picking up the orders? The volume of orders: what is the no. of orders you make daily, weekly, monthly or yearly. Thanks to the recent development, shipping has been integrated with technology that helps us to monitor the process of shipping, the entire cycle of packing, dispatching, out for delivery and received can be viewed easily. Being careful of your shipping option can delight your customers and help you in keeping that cost in check. When you look beyond the big names in the shipping industry there are ample amount of services, which are offered. These services are provided for even the largest of items, keeping the items safe while they are being delivered. Finding local delivery and courier companies is not hard in major cities which offer good rates and fast delivery.